Steamboat goalie Kaden Hovey keeps the ball away from Evergreen on Saturday. Hovey came in late in the third quarter and managed to keep the Cougars from scoring. His offense came up big in the fourth quarter to seal a 10-2 win. 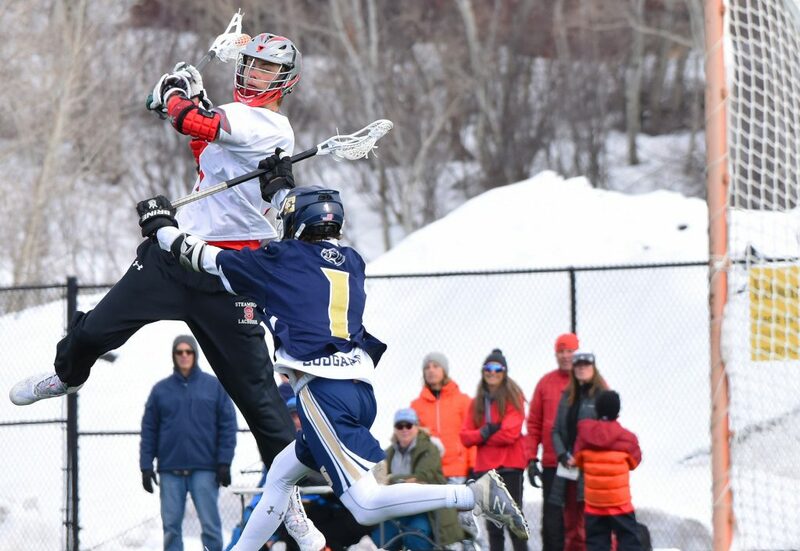 STEAMBOAT SPRINGS — There was still an offensive onslaught to come, and the Steamboat Springs High School boys lacrosse team already had a small lead, so in plenty of ways, the closing minutes of the third quarter of Saturday’s Class 4A top-10 tilt between Steamboat and Evergreen didn’t look like the decisive stretch of the game. 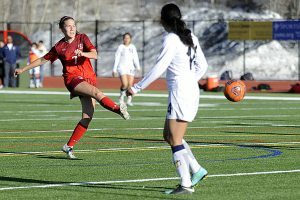 But, Steamboat’s lead and all the game’s momentum hung in the balance after a nasty bit of fighting sent two of the team’s top upperclassmen to the sidelines. Sophomore Kaden Hovey came off the bench to play in goal and pulled off a pair of key saves in some of his biggest minutes of the season. The Sailors, ranked No. 6 in the latest CHSAANow.com poll, survived that stretch, then poured on the offense in the fourth quarter to run away from No. 8 Evergreen on Saturday at Gardner Field in Steamboat 10-2. Hovey came in as cold as a player can get. He was wearing his jacket, sure he wasn’t going to get minutes in this crucial game. He’s seen plenty of minutes this season, taking about one-third of the team’s time at goalie, but junior Griffin Maltby has picked up all the starts and most of the minutes that mattered. Maltby was about 75% of the way through a very strong game of his own, holding Evergreen to two goals as the Sailors sat on a 4-2. Steamboat seemed to have a solid, if not iron-clad, grip on the game, but that stability was shaken in a big way. Maltby and Evergreen sophomore Carter Cassin traded shoves late in the third quarter, and each drew non-releasable two-minute penalties. Steamboat senior Logan McAtee then crashed into their scrum and was ejected. Steamboat already was playing out a penalty, so the end result was the team was temporarily without three players, down two men in the moment and playing with a cold goalie. That cold goalie came through, and the team went into the fourth quarter still ahead 4-2. “It was all in my head. 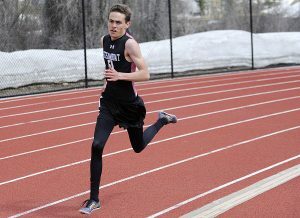 I got confident and was ready to go,” Hovey said. The win was a big one for the Sailors, who entered the game having lost three of their past four against teams that have been ranked in the top 10 at CHSSANow.com this season. Senior Macray Dillingham, back on the field after an injury last week, got things going early, scoring three of the team’s first five goals. 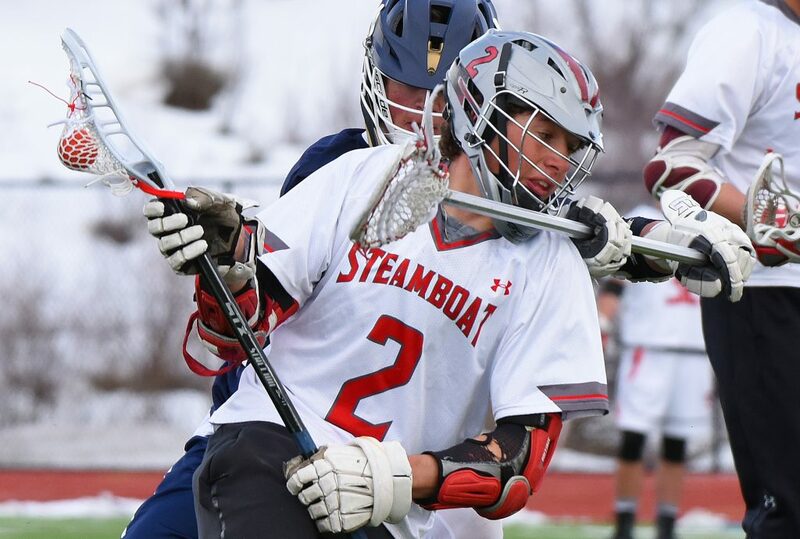 Steamboat’s leading scorer Jacob Gilbertson then finished things up, scoring three of the Sailors’ last four goals. All of Gilbertson’s strikes came in the fourth quarter, part of a six-goal deluge in that period. Steamboat’s Jacob Gilbertson tries to fight through the Evergreen defense Saturday. He eventually made it, scoring three goals in the fourth quarter. 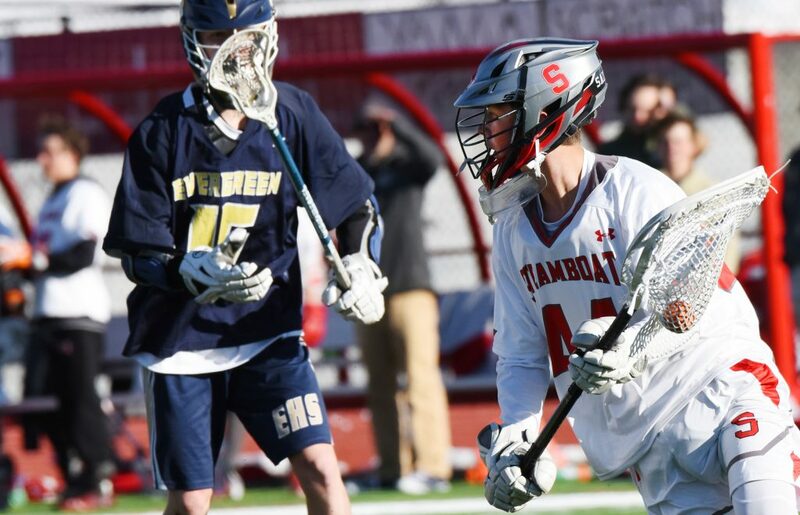 Steamboat also got two goals from senior Will Eck, one in the second quarter and another in the fourth. Quinn Keefe scored to open the game. Jackson Lynch also scored in the fourth quarter. The win, in a nonconference game, bumps the Sailors to 8-3 this season. They’ll be back in action for a big Western Slope Conference game at 5:30 p.m. Monday against Battle Mountain. 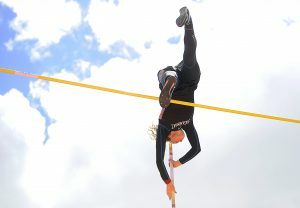 Steamboat’s Tyler Doyne goes high to get off a shot Saturday against Evergreen. 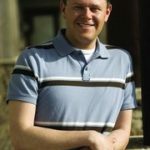 Joel Reichenberger is the former sports editor of the Steamboat Pilot & Today.